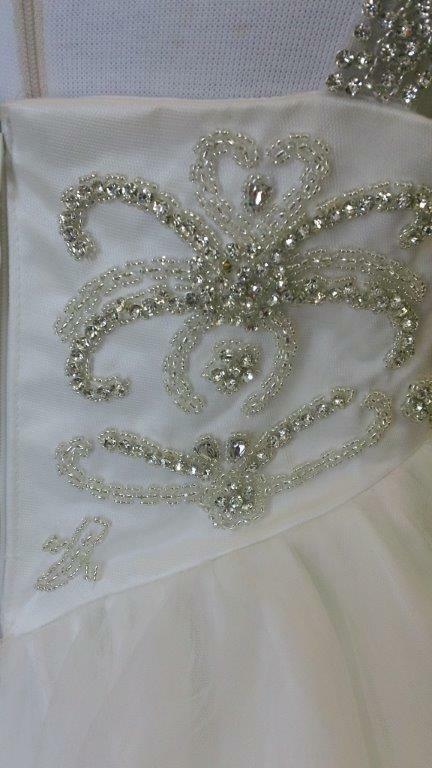 Rhinestone beaded flower girl dress. 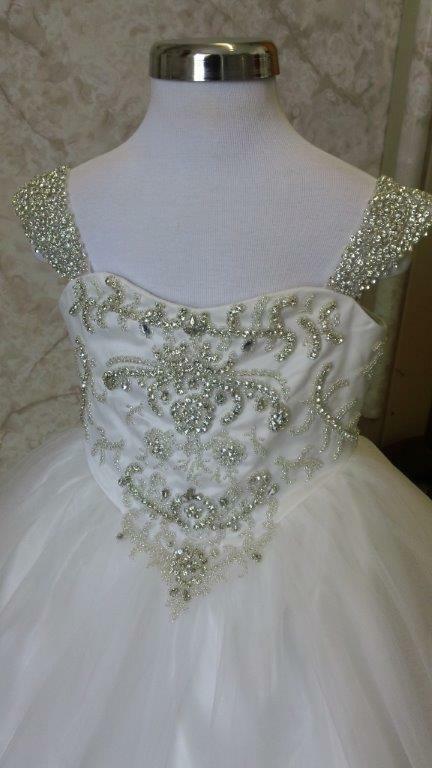 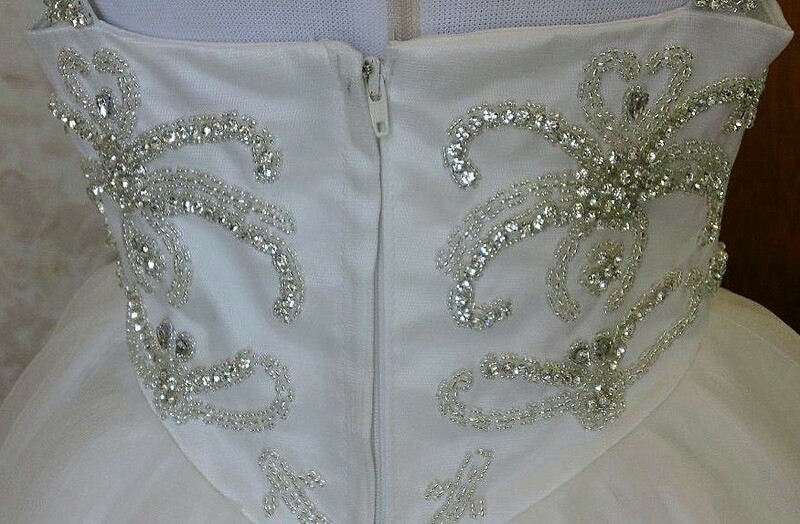 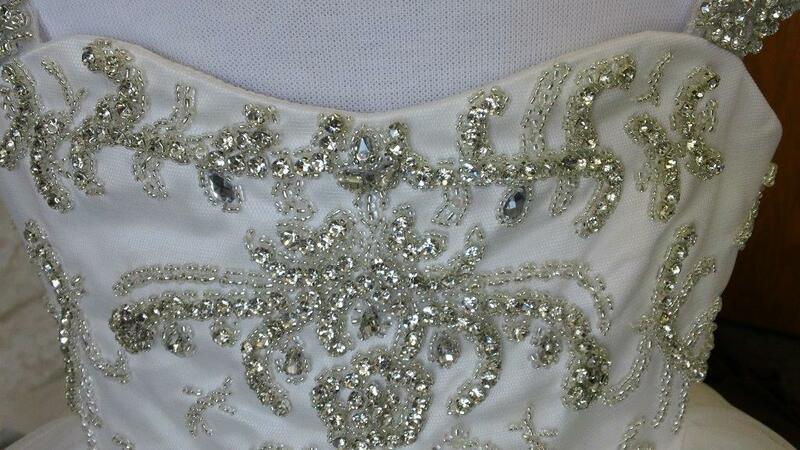 Rhinestone little girls wedding dresses in size 3 month to14. 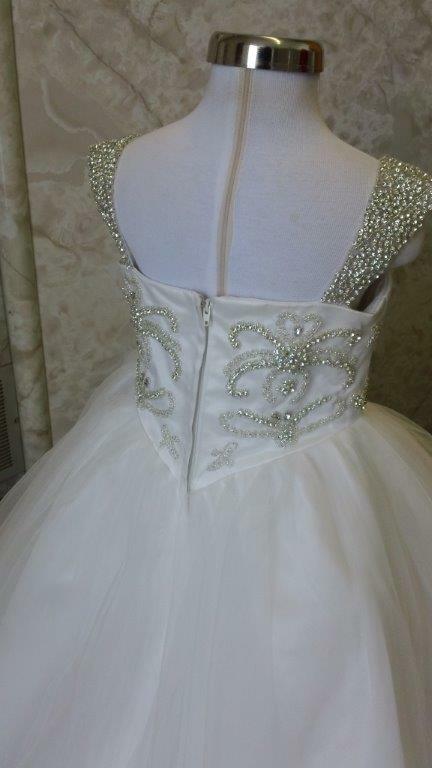 Beautiful rhinestone designed flower girl dress with rhinestone beaded straps and bodice. 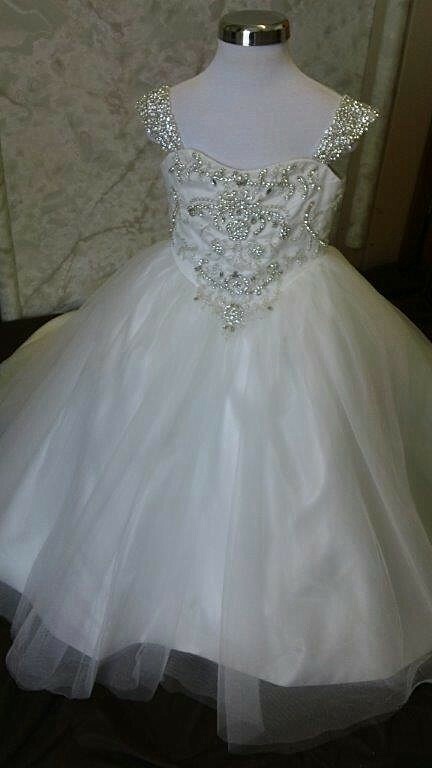 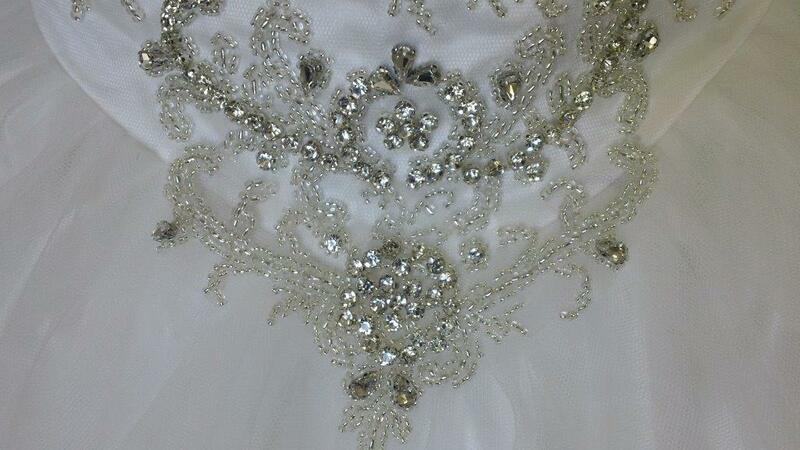 Rhinestone Flower girl wedding dresses. 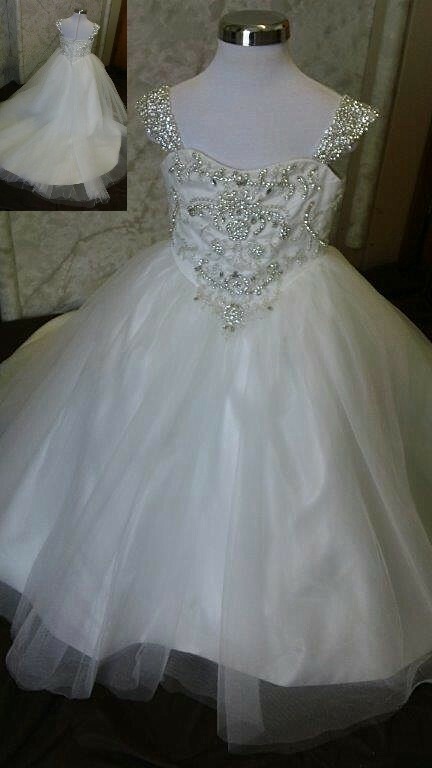 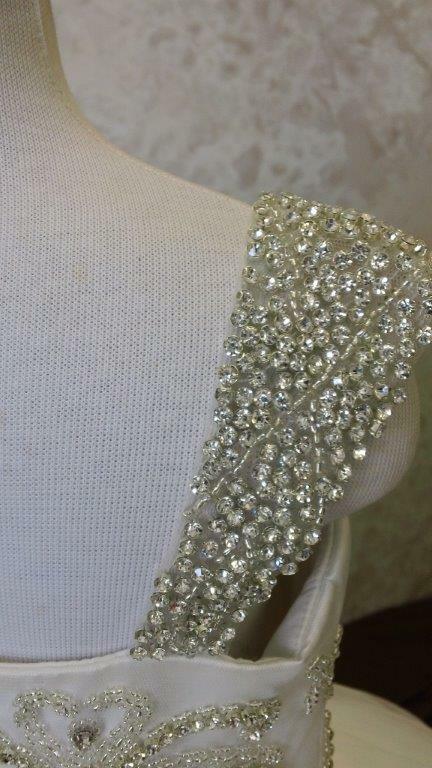 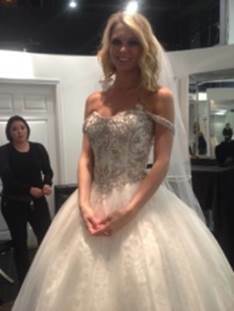 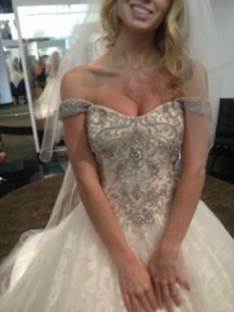 Gorgeous beaded ball gown that compliments this Brides Gown. 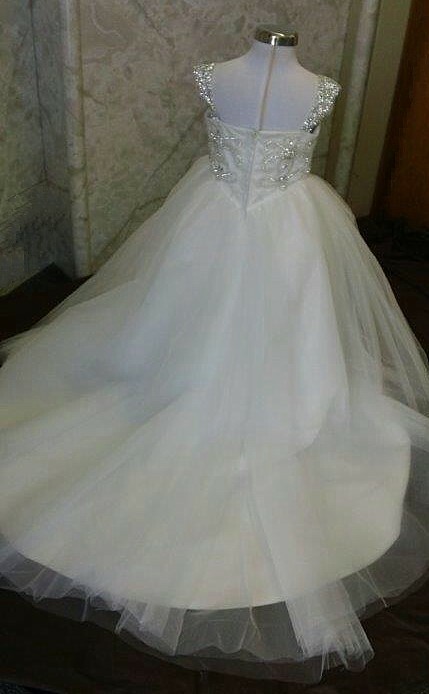 This bride wanted to match her jewel beaded ball gown.